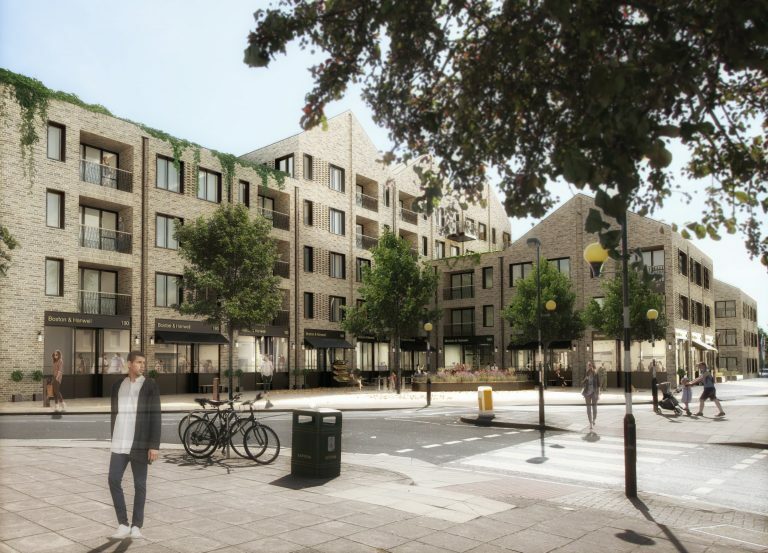 Working closely with A2Dominion and Ealing Council to bring the site forward for development, the scheme includes a range of studios, one, two, and three-bed homes, 35% of which are affordable to provide a housing solution for both single professionals and young families. 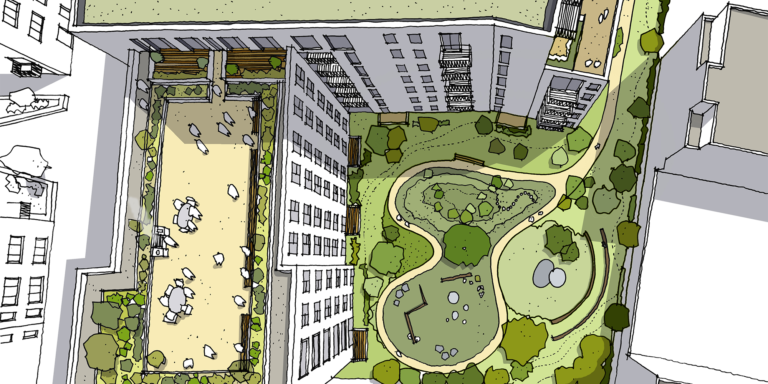 The design seeks to tie together the surrounding residential developments through a comprehensive public realm strategy, with the square as the focus and a variety of playspace woven through the landscape. At ground floor, flexible workspace for start-ups creates an active frontage and job opportunities to drive footfall to the area. 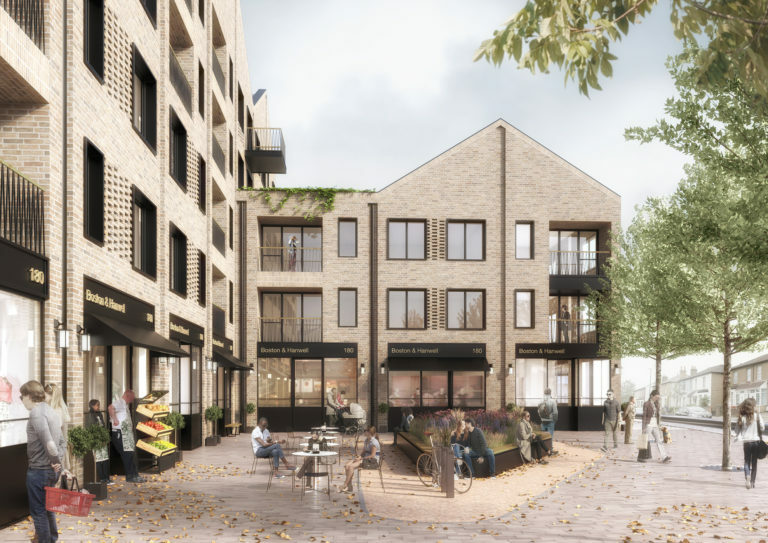 Architecturally, the soft brickwork is contemporary but sympathetic to its context, and is contrasted against the dark frames of the shop frontages that enclose and successfully complete this ‘village square’.